April 15, 2019 - The residents of a home in Valley Stream received the shock of their lives Sunday evening when a small single-engine plane crashed onto their front lawn, according to reports. Even more shocking was the fact that no one involved in the incident – the pilot, the two passengers, nor anyone on the ground – were killed or even seriously injured. The crash took place in front of a residence at 113 Clarendon Drive at approximately 10:15 p.m. Sunday after a pilot, flying two South Korean tourists on the way back from visiting Niagara Falls, became disoriented while navigating through a fog bank, according to police. After the pilot made several attempts to land at Republic Airport in Farmingdale that were aborted due to visibility conditions, the plane was redirected to John F. Kennedy Airport; fog once again became an issue, and the plane subsequently ran out of fuel and skimmed the roof of Hillside Avenue's Revival Outreach Ministries before finally gliding one additional block and crashing in Valley Stream. The plane became entangled in telephone pole power wires, preventing it from hitting the house, officials say; instead, the place remained suspended in the air several feet above the lawn, officials say. The house was not damaged. As a result of the crash, several homes on the block were deprived of power; PSEG representatives are currently on-hand addressing the issue. Amazingly, when authorities arrived at the scene, the pilot and two passengers were all seated on the curb in front of the house, and had only sustained minor, non-life threatening injuries as a result of their ordeal. 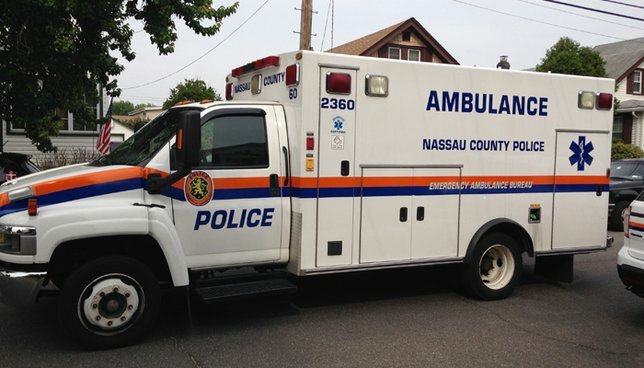 Commissioner Patrick Ryder of the Nassau County Police Department noted that the pilot – identified as Dongl Kim of Flushing, Queens, 27 – and passengers – Hung Joo-Na, 29, and Jung Woo, 26 – and were members of a flight school at Republic Airport. "A Cessna 172 aircraft crashed into some power lines in a residential neighborhood approximately two mile northeast of John F. Kennedy International Airport in Valley Stream, NY at 10:19 p.m. Three people were on board. Contact local authorities for passenger information and medical conditions. The FAA will investigate." Subject: LongIsland.com - Your Name sent you Article details of "NCPD: Single-Engine Plane Crashes onto Lawn of Valley Stream Residence; No Deaths or Major Injuries Reported"